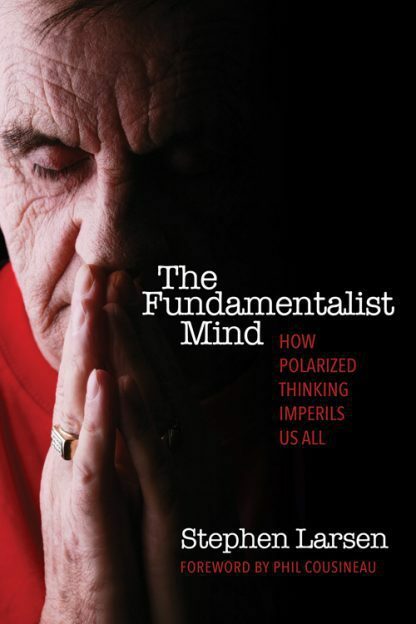 We are all fundamentalists whether we acknowledge it or not. We were born into a world of myth and metaphor and have come to internalize the stories we were told as children as the literal interpretations of much greater and deeply symbolic lessons. When we fall into such patterns, according to author and psychotherapist Stephen Larsen, we lose all flexibility and freedom of thought. We become split by dualistic thinking�bad versus good; black versus white�and are weighted down by definitive, concretistic principles and behaviors that alienate us from one another. Dr. Larsen explains that we can avoid such pitfalls by identifying our �inner fundamentalist� and becoming more open-minded individuals.